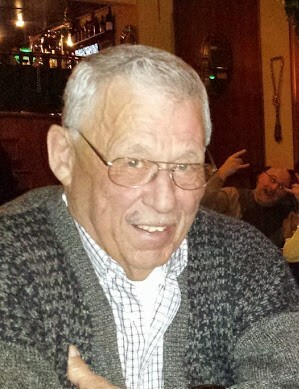 OSWEGO, NY – William E. Davies, a resident of Scriba, passed away on Wednesday April 17, 2019, his 82nd birthday, at his home with his family by his side. Born on April 17, 1937, in Oswego, he was a son of the late Gene and Ruth (Schrader) Davies and was a graduate of Oswego High School. He was employed with his family business, Davies Sand and Gravel, a member of Plumbers and Steamfitters Local #73 and was a self-employed contractor upon his retirement from the Plumbers and Steamfitters. He enjoyed supervising his friends on their building projects. He loved to watch the races at the Oswego Speedway and was a cornerman in the 1960s. He enjoyed the Two Flags Parties at the Pond and loved flowers, birds, cats and his dogs, Oscar and Buddy. He enjoyed the time he spent with his friends at Avery’s Tavern. William will be remembered as a good family man who lived a full and happy life and enjoyed doing the things he loved best. Surviving are his wife, the former, Shirley Hill; his son, David (Martha) Davies of Scriba; a daughter, Debbie (John) Lawton of Scriba; and his four grandchildren, Casey (Mike) Smith, Kyle Lawton, Dakota Davies and Craig Lawton all of Oswego. He was predeceased by his brothers, Jack and Jimmy Davies. Friends may call at the Dowdle Funeral Home on Saturday from 1 – 4 p.m. with a service to follow the hours. In lieu of flowers, contributions may be made to the Oswego County Hospice, PO Box 102, Oswego NY 13126, Oswego County Humane Society, 29 W. Seneca St., Oswego NY 13126 or the Oswego County SPCA (OCWAL), PO Box 442, Fulton, NY 13069. Great guy.Always enjoyed being around him and working with him.We had lots of laughs. Will be missed. He was a good friend to my Aunt and Uncle, Elaine and Bill Howard. I am sorry to hear of his passing.